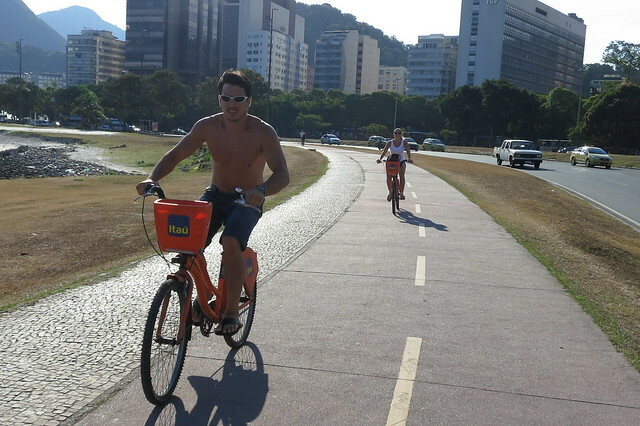 Just got home from some Cycle Chic related activities in Rio de Janeiro. 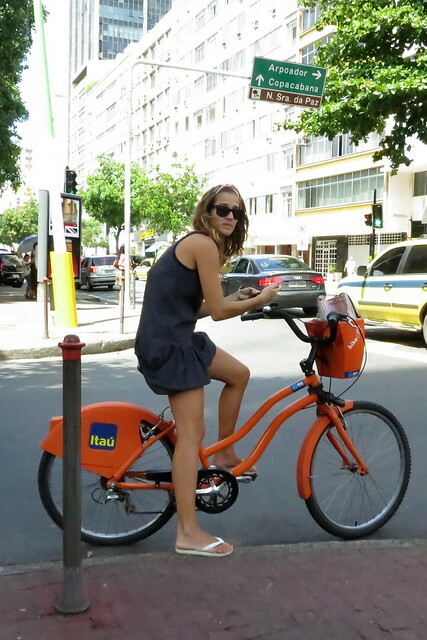 The city has recently launched a bike share system and it's a massive success. 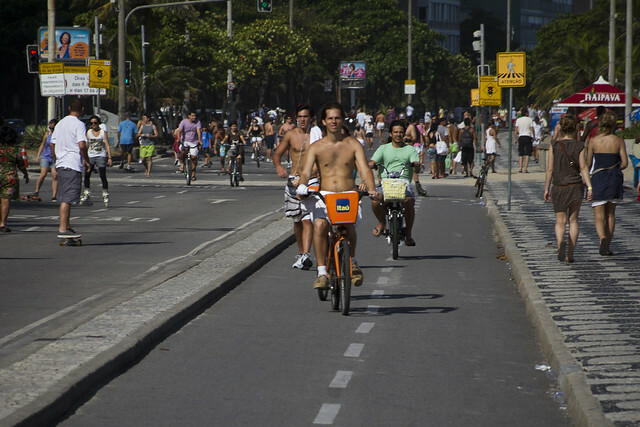 50,000 subscribers, which is brilliant in a city that is already lightyears ahead of most cities in the Americas regarding reestablishing the bicycle on the urban landscape. 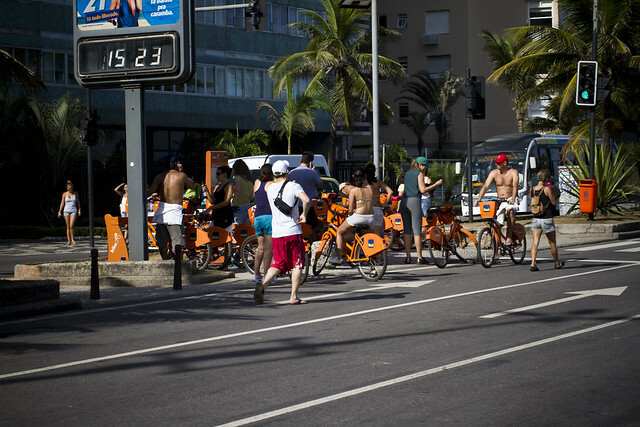 No surprise that Rio came in at #18 on the Copenhagenize Index list of Bicycle Friendly Cities last year. 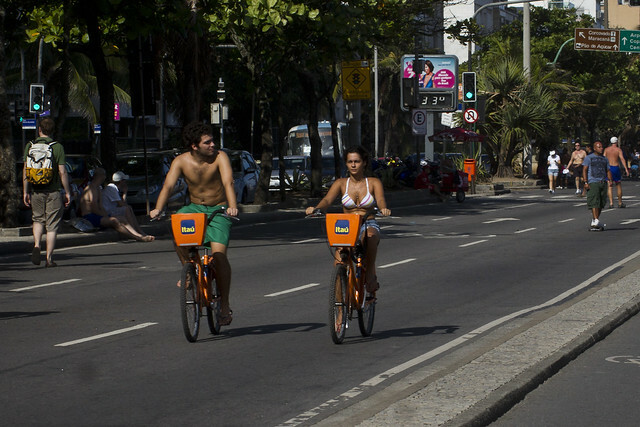 Many of these photos were taken on a Sunday, when the bike lanes along the Copacabana and Ipanema beaches get a whole lot wider what with the three lanes of traffic that are closed to cars and opened to bicycles, skateboarders, rollerbladers and people just walking casually along. 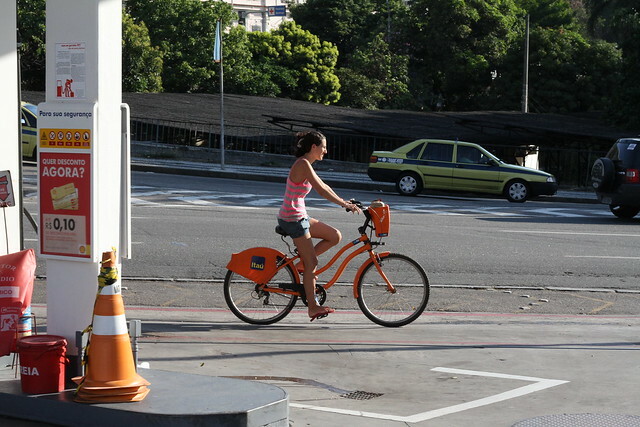 The system was so busy that there was a queue at many stations as people waited for bikes to be rented so that other bikes could be parked. 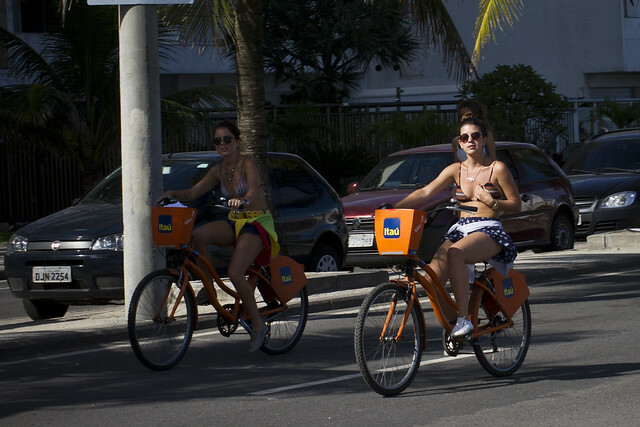 There are, however, many people using the bike share bikes during the week for short trips around the city. Please have your RSS feed display the entire post in the reader it is displayed in. 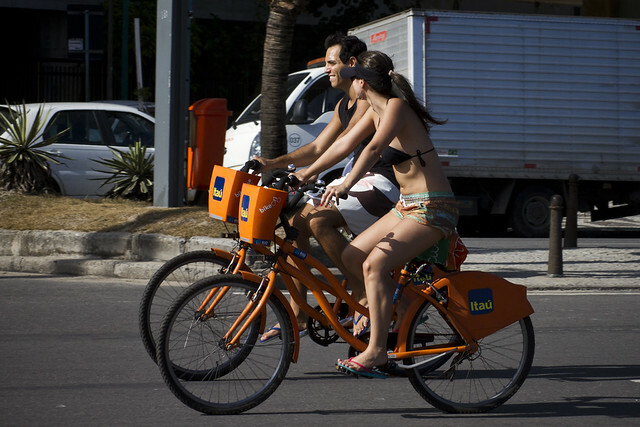 It's fun to ride a bike. 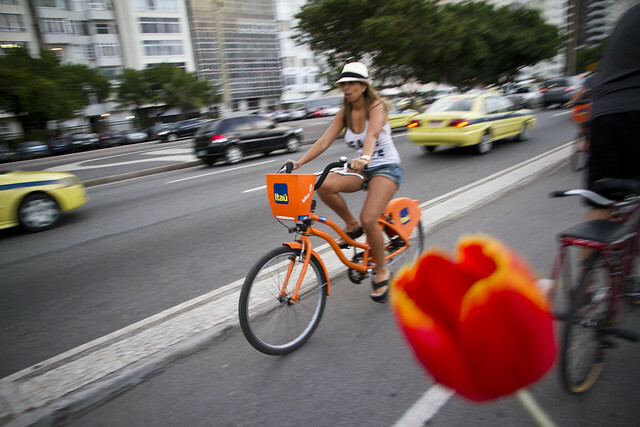 These photos capture that about bikes and about what's good in life. Thanks!